A fine tale, set in the years right before and during the First World War, it is a story about class and money, ambition and love. It is about two young British lads, one whose father was a blacksmith, and one whose father was the Earl of Pitsford. 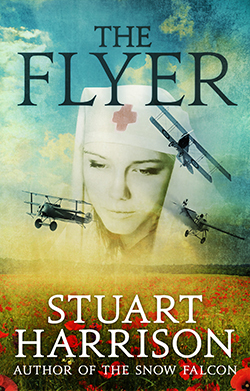 They meet when William is pulled from the wreckage of his downed plane in a Northamptonshire field by Christopher, the Earl’s son. It has that R.F. Delderfield feel to it. Remember him? God is an Englishman? To Serve Him All My Days? Yeah, THAT Delderfield. I loved his books, I think I read them something like… oh, cripity…. almost fifty years ago. Yeah, I was an infant, with the astounding ability to read while still in the crib. There is a love triangle, with William feeling the effects of his lowly class status, and there is a lot of ill feelings about the whole class thing. Lots of yada yada about who loves who, and an examination of loyalty, love, and what it is like being a very young person. Being a young person. Geez, that was so long ago I barely remember those days. Really good book, a fine read. This was a fun mystery. And it stars a feisty female CIA trained assassin. Don’t find too many of those in the Louisiana bayous, now do ya. She kills a guy in the Middle East with her 4 inch spike heel shoe because he was abusing some child. That sort of blew her cover, and she is whisked home and reprimanded by the boss. Now the Middle East guy has put out a hit on her, and she needs to go underground somewhere. She pleads not to be put in the Witness Protection Program, because she will end up a bank teller in some East Bicycle town in the midwest. The boss has another idea: his niece has inherited a house from her maternal great-aunt. She was scheduled to spend the summer at the place, going over the contents and getting it ready to sell. She’s never been there before, so he is sure he can substitute our gal Fortune for the niece Sandy-Sue, and thus get his agent out of danger until the whole business blows over. And guess where that place is: a small remote town deep in the Louisiana bayous, named Sinful Bayou. There she meets a couple of gals she keeps referring to as ‘old’, and I took a mighty offense at that, seeing as how they were about my age. And honey chile, believe me, I am not old. I am mature, like decent cheese and good wine. I’ll let you know when the bloom is off the bougainvillea. She is to be the niece: a beauty queen, and a librarian. Whooee, talk about casting against type. The elderly dog entrusted to her care digs up a bone in the backyard creek, and it turns out to be a human finger bone. Turns out to be the human finger bone of one Harvey somebody, the nastiest individual in town, gone now these ten years, to the everlasting relief of his widow. 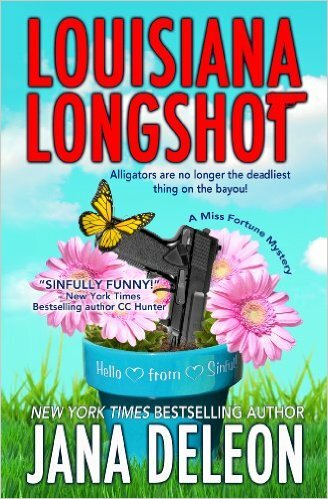 He had disappeared with a bank account in the Cayman Islands, a reputation for womanizing, and no body was ever found. Until now. Well, of course the widow is the prime suspect, but she has suddenly gone walkabout, and the tale revolves around the efforts to not only find Marie, but to exonerate her, and find the real killer. Our Fortune even gets an opportunity to put her assassin skills to use, thereby once again blowing her cover, since nobody would ever believe she is a beauty queen librarian after THAT stunt. A fun read, with a couple of twists I didn’t see coming. It started off a smidge noir, but that tone soon disappeared into a discussion of the hobby of knitting and whether she should be entrusted with knitting needles. Tough call, that one. A nice little mystery, the first of the Jamie Quinn mystery series. 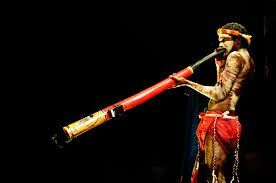 An autistic young man, whose salvation comes from music, listening and playing, is found standing over the dead and bloody body of his music teacher, holding a bloody didgeridoo. His condition makes it impossible to speak much, and all he can say is “I’m sorry.” So natch, the police have him pegged for the killer. Well, of course we readers are pretty sure the young man did not do the deed, because how cruel would that be, right? But we can put forward a good guess, because it is not that tough of a mystery to solve. And darn if we weren’t right! A pleasant read, not too tough on the old brain cells. Another wonderful book by contemporary Egyptian writer Bahaa’ Taher. This story is set in the late 1800s, when France and Britain had dual control to supervise the revenues of the Egyptian government after Khedive Ismail, who ruled from 1863 to 1879 bankrupted the country. The new khedive acquiesced in the stringent austerity measures imposed by the Dual Control, causing hardship on many sectors. This led to a nationalist movement and subsequently Britain and France sent a naval force to the waters off Alexandria. There were subsequent riots, and the British bombarded the city, and the British defeated the Egyptian army and took control of Egypt, which lasted until 1956. The novel opens in 1895, in a tranquil Egypt, but the memories and resentments run deep. Our protagonist, Mahmoud, a police official, is sent to a distant and very remote oasis to act as the District Commissioner of the Oasis in order to collect the unpaid taxes from the rebellious citizens. His Irish wife wants to come with him, a strange and possibly dangerous request. The journey is arduous, but she delights in it all. We discover that Mahmoud took part in the uprising against the British, and it is not clear if or who he betrayed during those times, but he is eaten up by the memories and guilt. His wife knows nothing of this, and has her own interests in languages and ancient history of the Greeks and the Egyptians. She is appalled to learn upon reaching the oasis that she is considered an outsider and dangerous. She would like to explore the ruins but is denied access, because there is also an ancient rumor of treasure buried in them, and the oasis citizens fear she is there to steal the treasure. and there is a portion of the book dedicated to Alexander’s thoughts as he inhabits the Afterlife. Due to the wife’s improvident actions in insisting on going places she should not go, the longtime aide of Mahmoud is involved in an accident which leaves him with a mangled leg, and a young widow dies, whether by suicide or ritual murder is not clear, after visiting the wife of the commissioner. It is a story about the clash of cultures, with a heavy anti-British overtone, and revealing details of life at that time in a remote oasis, in which live two competing factions. For some reason it put me in mind of A Passage to India, where a Westerner involves herself in situations that cause problems all around. 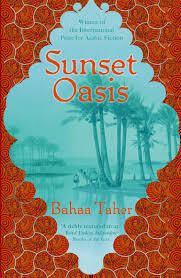 Taher wrote Aunt Safiyya and the Monastery, and this book, Sunset Oasis, won the inaugural International Prize for Arabic Fiction in 2008. 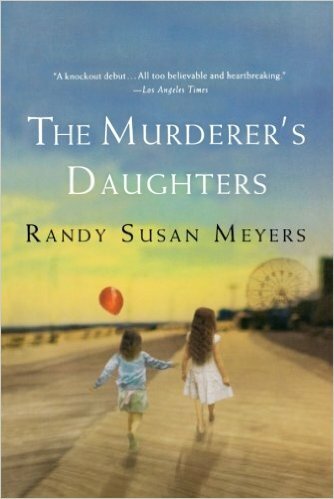 A poignant story of a family destroyed by murder, specifically by murder committed by one of the family members. It is told alternately in the voices of the two sisters, the elder, Louise or Lulu, and the younger Merry. They are growing up in Brooklyn with a beautiful but dissatisfied mother, and a hardworking father who loves his wife to distraction. Finally, the slipshod mother kicks the father out because he bores her, and tells the girls to never let him in the house. One night when the mother is sleeping, the father, drunk and angry and desperate, comes to the door and persuades Lulu to let him in. He wakes up the mother, they get into a terrible fight into which the younger girl tries to intervene. The father picks up a knife and stabs the mother to death, and then tries to kill little Merry, only 5 years old. Meanwhile, Lulu has run for the help of a neighbor, who arrives in time to save Merry. The father is caught, tried, and sentenced to life in prison. The girls are sent to live first with their maternal grandmother, and when she becomes ill, they go to live with their mother´s sister, who never liked the father. That didn’t last long, and they were put into an orphanage. The paternal grandmother was not well enough to take on two young children, so they lived in the awful orphanage until their teens, when a kindly social worker took them into her home. The older sister becomes a doctor, and the younger one works first as a parole officer and later as a victim’s advocate. Neither are particularly likable, and why should they be? All their efforts go into psychological maintenance as they struggle to find a way to come to terms with this. The story is about how they coped in their different ways with surviving, and living with the knowledge of the horrific act the father did. The older one tries to pretend he is dead, and the younger one feels obligated to visit him often, trying to repair the damage to the family. I think it is the kind of book you either really like, or really hate. It either hits the right tone for you, or it seems overly dramatic and hokey. For me, I thought it did what it was supposed to do, and I liked it. The characters of the various family members rang true. I have known people exactly like them. In many ways it was a hard book to read, and that in itself says something positive about the writing. I had read of number of short stories by Kage Baker, and really liked them, so thought I would try her The Company series of novels. I really like Kage Baker. First of all, she is a female sci fi writer. Secondly, she is a female sci fi writer ‘of a certain age’. The Company is an organization formed in prehistory sometime (I think I’ve got that right) for the purpose of creating immortal cyborgs who will time-travel around, saving flora and fauna which will go extinct. They then replant those species in later centuries. The cyborgs have great disdain for mortals, because of their awful tendency to kill each other and animals and destroy the environment. Plus, they don’t live long enough to be interesting. Picky, picky, picky. In this first volume, we meet Mendoza, plucked by a Company recruiter from the nasty hands of the Spanish Inquisition in … where else?….. Spain in the 1500s, at the tender age of 4. Or 5. Born into a very poor family with a whole lotta kids, she does not know her name, having been called only ‘kid’ all her short life, wasn’t very sure of her exact age, and didn’t have a clue as to the family name. She was purchased by a high class woman named Mendoza for the purpose of training her for household tasks and education. The family was delighted to let her go — one less mouth to feed, one less body to cloth, and gee, look at all the money in that purse! Anything being better than the treatment of the Spanish Inquisition, she agrees to be recruited, was taken to a center in Australia, where all kinds of technology was put into her body, and all kinds of training given. She is trained as a botanist. 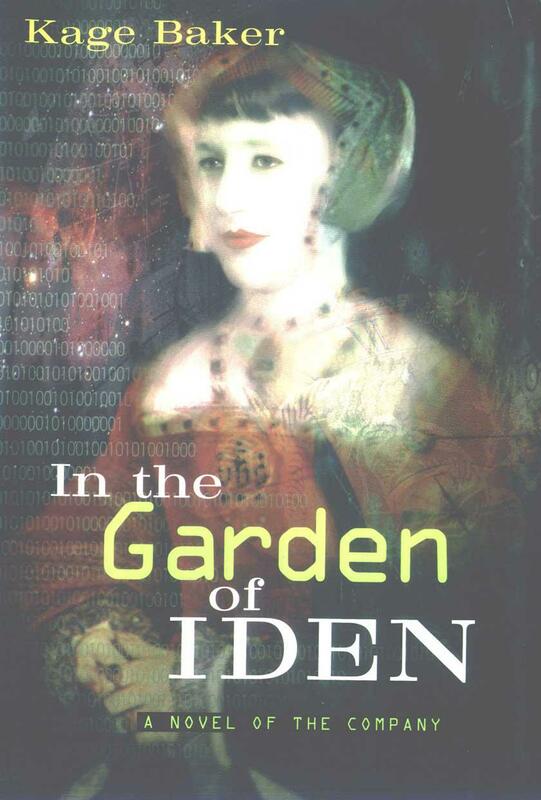 At age 18, she is sent on her first assignment to England, in the 1600s during the reign of Queen Mary, to work in an obscure minor landowner’s garden to gather cuttings and seeds of plants that will be going extinct. There she is in the middle of the fight between the Catholics and the reformation protestant folks, falls in love with the landowner’s lanky extremist protestant secretary, and therein falls the twists and turns of an interesting plot of romance, secrecy, cool technology, and some gruesome burnings at the stake. Eeeuuu. Nice way to learn a slice of the history of the time, the mores and cultural details of daily living (“Don’t eat the meat. It’s been hanging for a week and is filled with crawling bacillus.” ) and the dealings with bureaucracy (“can’t we requisition some new clothes? This dress if full of moth holes.”), bureaucracy being the bane of all existences, and to ponder the notion of boredom and happiness if you are immortal. Loved this book. Maybe I am just at the right place to read it. Who knows. But am eager to get on with the second in the series and see where Mendoza goes next. Charlie Miner is a private eye. Make that EX-private eye. And you gotta know that any book that starts out with a dead P.I. needing a fix …. I am totally in. Totally. Gives me hope for the future. You know, the dead future. Maybe I will wake up dead needing a new sewing machine or new Kindle Fire. See what I’m saying? It’s one of those mixed genre books… part suspense, part thriller, part mystery, part dead person. Oh. Yeah. That would make it part paranormal. Charlie is divorced, his ex is an alkie, and he is a junkie from pain meds due to a diving accident. He has a teenage daughter, and a part-time girlfriend. And he would like to know who killed him, so he sets off to discover just what happened, the events of which he cannot remember after a certain point. Well, he sets off on his road of discovery right after seeing his his his … ummm, what do you call those guys who sell you the drugs? Dealer. Along the course of his investigation, he acquires a new client who wants to find the money her husband invested in a dead gold mine, his house gets burned down, his daughter gets kidnapped, and generally speaking, Charlie is not having such a great afterlife so far. Great book. 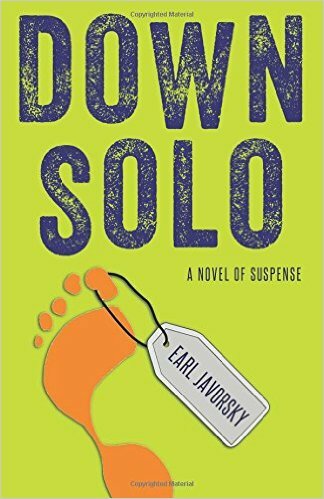 Really fun without being silly, creative situations without being stupid, and if the whole general thriller/suspense part is a bit tried and true, so what? It was fun. Oh yeah, and I already said that, but it is true. It is fun.